Yellow Brick Road Co. is a family owned and operated company with 18 years of experience in the Orlando area. We are specialized in the installation of interlocking brick pavers, Travertine and Old Chicago bricks in driveways, walkways, patios and pool decks. 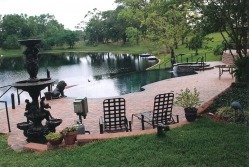 Our years of experience working for homeowners and major pool builders in Orlando has given us a great reputation of being a trustworthy and reliable company, with a mission to present you with a high quality work from very experienced professionals. Your satisfaction is our goal!